There are so many ceiling fan options in stores today until it can be mind-blowing! And if you have a challenging space, then you’re faced with finding that unique ceiling fan. Learn from a designer how to shop for a unique ceiling fan. And an enclosed ceiling fan is what we are talking about today. Let’s start with why I was looking for a unique ceiling fan. 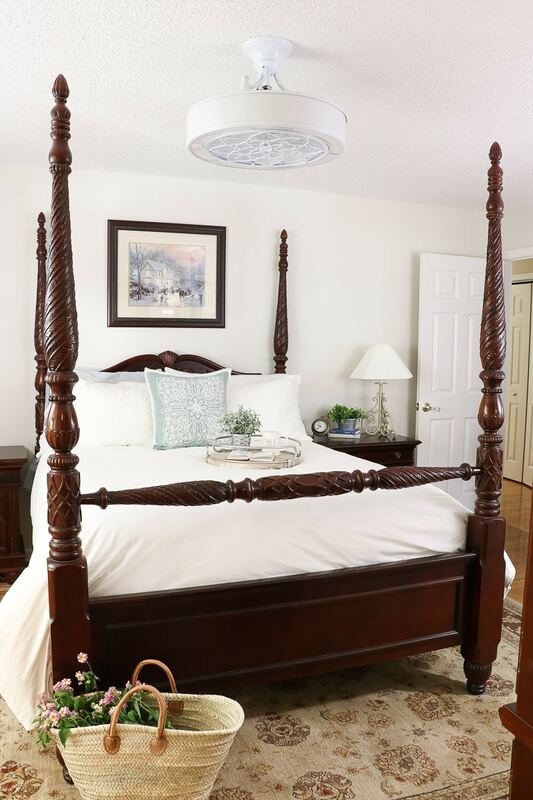 In my master bedroom, I have an eight-foot ceiling and a four-poster bed. Our current ceiling fan blades come very close to the posts. So, I am looking for a unique ceiling fan with light. This post is sponsored by Stile ceiling fan company and contains affiliate links, which means I receive a commission if you make a purchase using the links below. All opinions are all my own. There are three things you should look for when shopping for a ceiling fan. Well, this formula works for shopping for anything in your home. For example, it can be helpful when looking for the best-slipcovered sofa. Before you begin shopping for that perfect ceiling fan consider what style you are feeling. In our home, we have a cottage farmhouse style, and all the fans in our house are white. 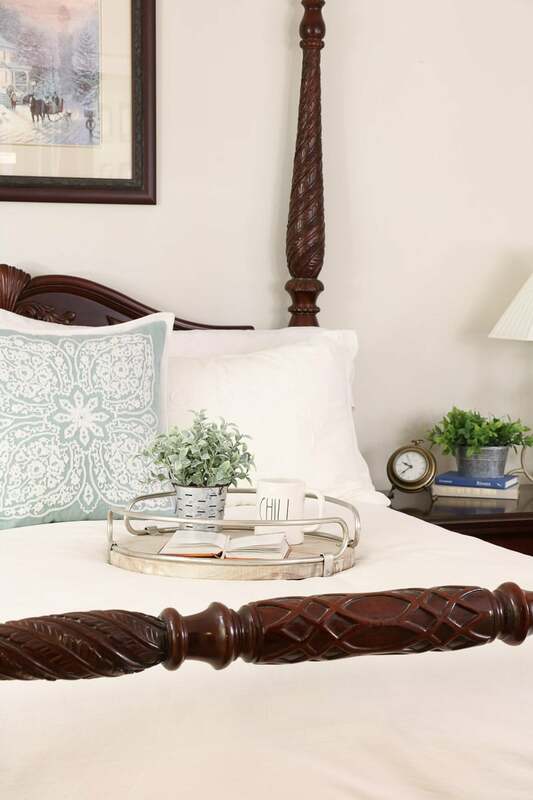 I wanted to look for a farmhouse ceiling fan in an all-white color to match all my white bedding too. We have already pulled some fantastic farmhouse fans in our recent Trending Tuesday post, so this will give you loads of options if you are looking for a farmhouse ceiling fan too. But the Stile Anderson 22 had that farmhouse look with a modern twist that I was looking for, and they offered it in white. Before you get too excited about a charming light fixture that houses a fan let’s make sure the fan functions to your level. For us, this was airflow and lighting. I don’t know about you, but I had my reservations on the air flow from an enclosed ceiling fan. Well, to my surprise the Stile Anderson offered plenty of airflow, and it spanned out wide enough for us to sleep comfortably. From what I understand the power in airflow has to do with the angle of the blade. There is a pretty good angle on the blades of the Anderson 22 which provides serious power in airflow when turned on high. As far as the light this fan offered more than we ever wanted. It has a LED light that is dimmable. And it radiates plenty of light when on high. But the best part about this fan was the remote. We didn’t have that on our list, so that was a sweet extra. Remember at the beginning where I talked about there are so many fans until it is mind-blowing. Well, quality is probably the most important thing out of the three. But how do you know if a ceiling fan is of good quality? Well, let me encourage you to look at reviews and comments on top rated ceiling fans while shopping online. I have purchased many household items from reading reviews. However, I can contest that the Anderson 22 is of outstanding quality. It is made of durable parts and does not seem to be flimsy at all. Even installation went smoothly, and everything fit as it was supposed to. So it passes the quality test, and I consider it one of the top rated ceiling fans. Now that you know the three main things to look for when shopping for a fan. 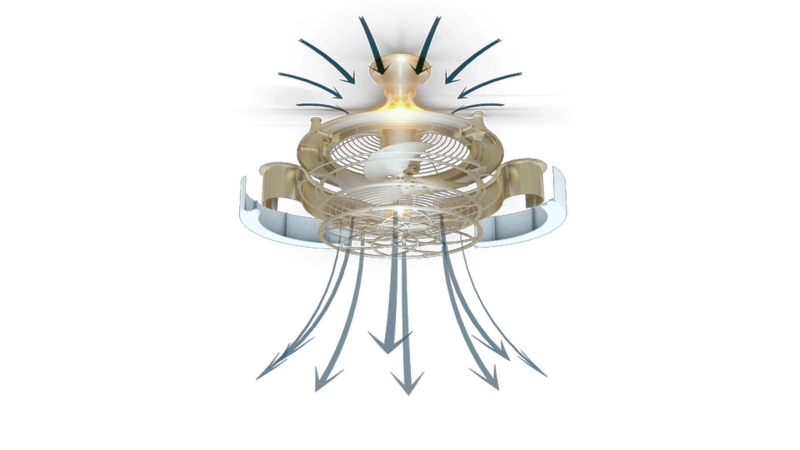 Here are a few other tidbits you that will be helpful about an enclosed ceiling fan. 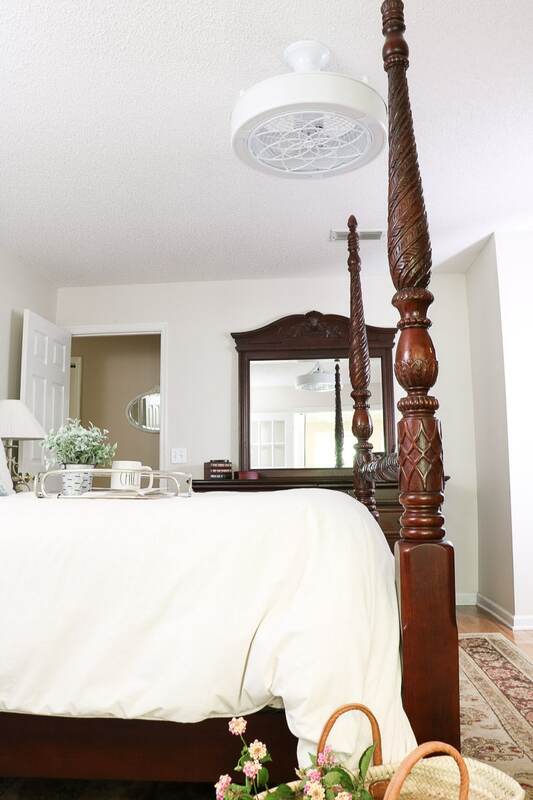 If you have anything in your room that runs the risk of hitting the fan, then a unique ceiling fan is right for you. In my case, my bed was an issue, and the best ceiling fan with lights was an enclosed ceiling fan. Another perfect scenario for an Anderson 22 is a child’s room with bunk beds. This one is a safety issue which makes an enclosed fan perfect. Now you have purchased your fan, and it is time to install it. The directions that came with the Anderson 22 are excellent. But we captured hanging the fan in this video so you can see first hand how it is simple. These are the tools we used to hang the Stile Products Anderson ceiling fan. 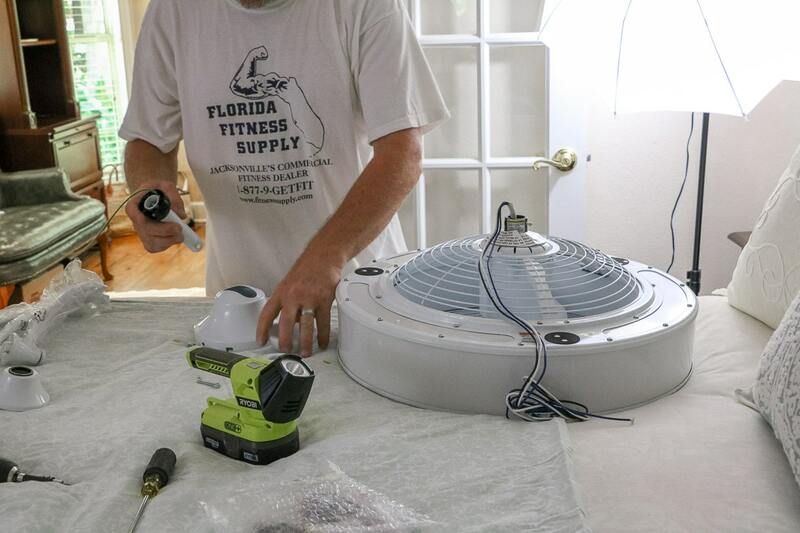 Hanging an enclosed ceiling fan is very similar to a regular ceiling fan except you don’t have to attach the blades. 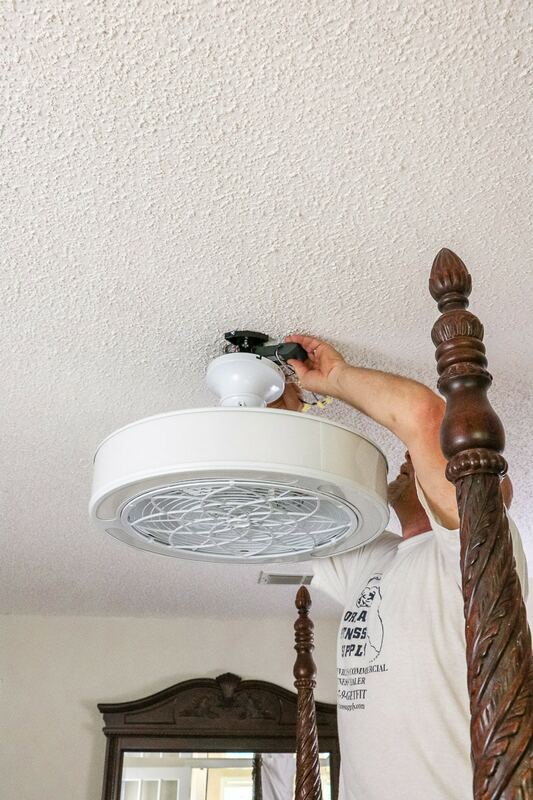 Here are a few tips to help with installing your enclosed ceiling fan. 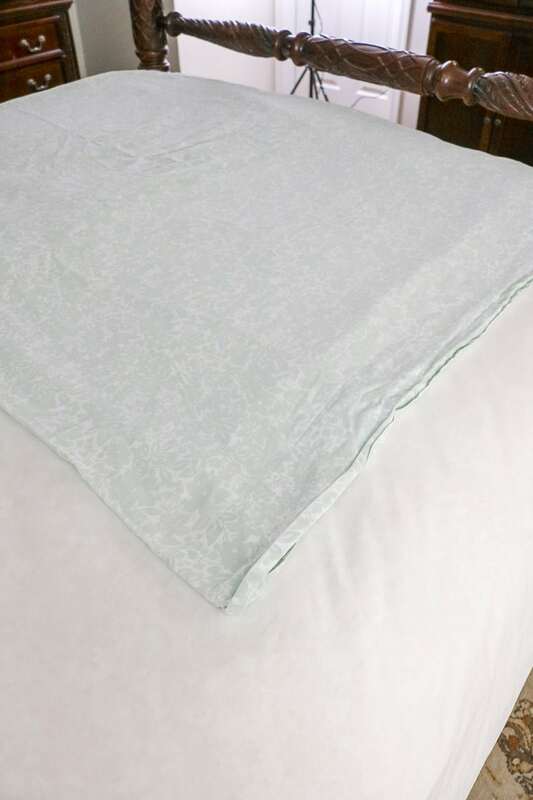 Lay some fabric or drop cloth over the table or bed where you will be working to place tools and the fan. Lay all the parts and tools out on the fabric. It helps to see everything as your working. 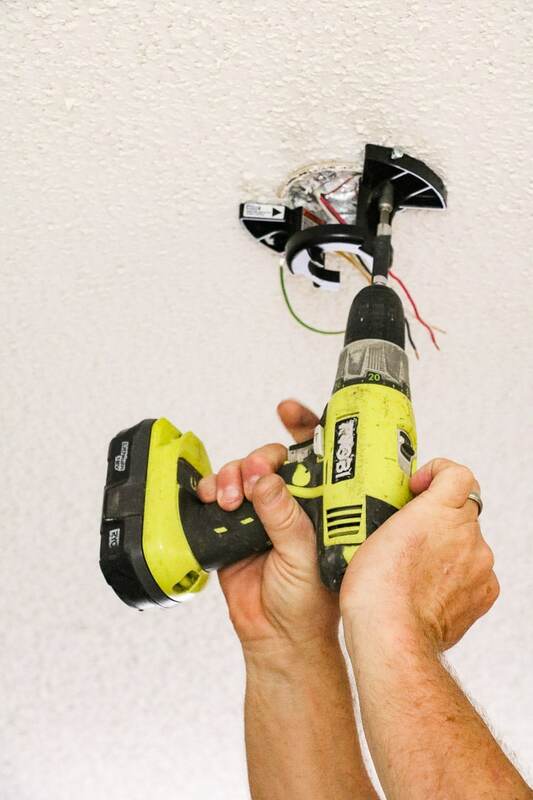 Use cordless tools to make the job easier. 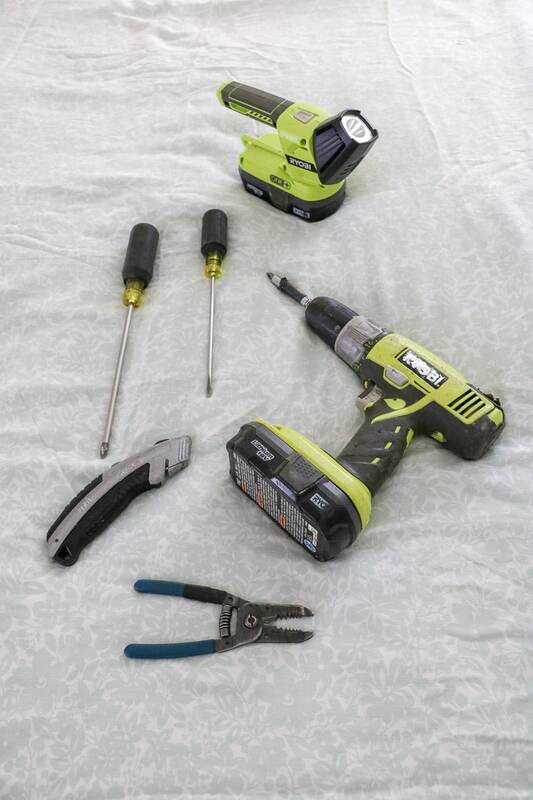 We like the Ryobi cordless drill driver and flashlight. 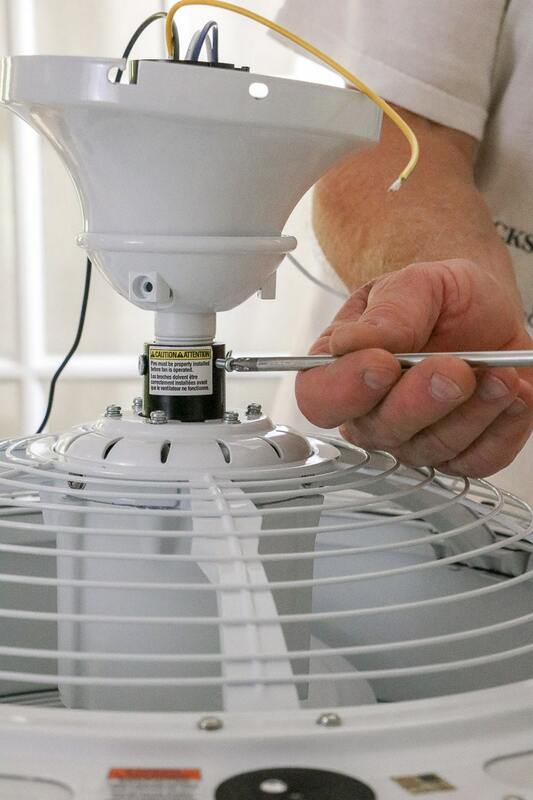 If you are installing the fan after you have everything connected test it before finishing to make sure the fan is working. It would be frustrating to fit the whole fan and then discover it is not working. Make sure to read all the directions in the Stile Products Anderson 22 manual before beginning to install the fan. 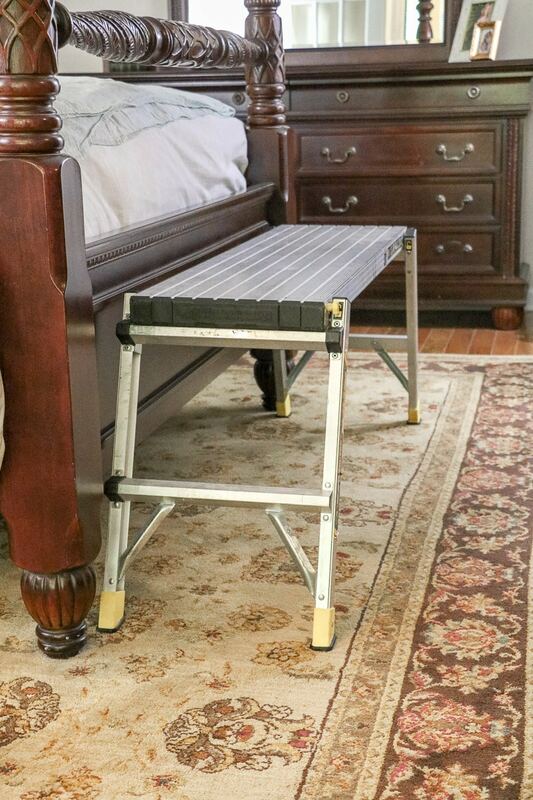 Use a gorilla ladder to make the installation easier. I hope this post has helped you with shopping for the just the right unique ceiling fan. 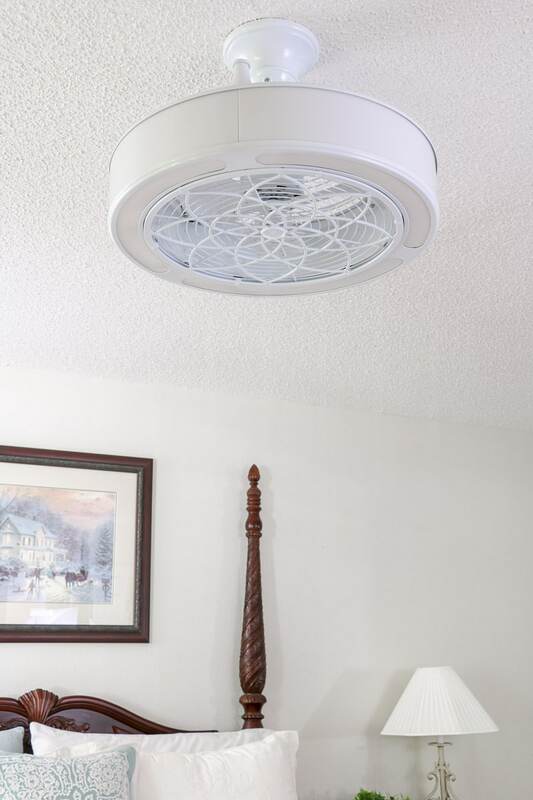 Maybe an enclosed ceiling fan with light will be right for you just like it is for us. It sure does fit better in our master bedroom. more Rentals should update to these fans!! Less space invasion along with the look of the unit.